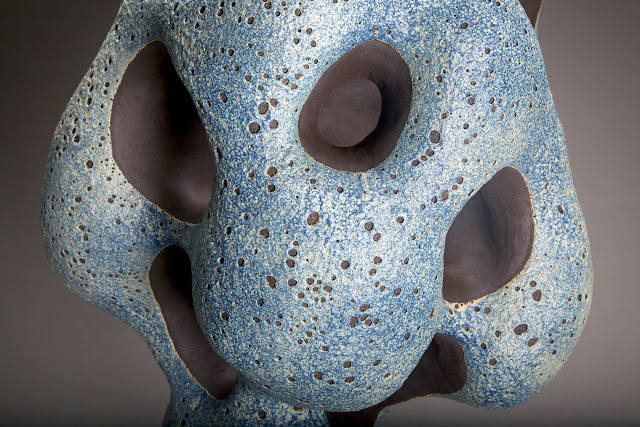 There's something about ceramicist Josh Herman's work that keeps you engaged...its dynamic, its organic, its geologic, its visceral, its mindful, its one-of-a-kind sculpture. His creative ceramic work ranges in scale and has been seen in galleries, hotels, and luxury decor shops for the home. 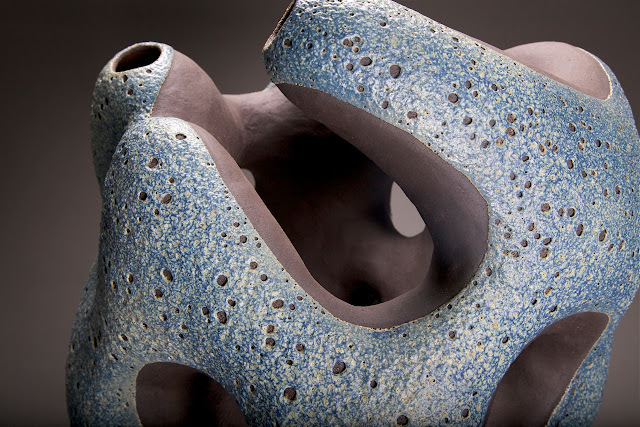 Josh is a master of the textural and tactile. 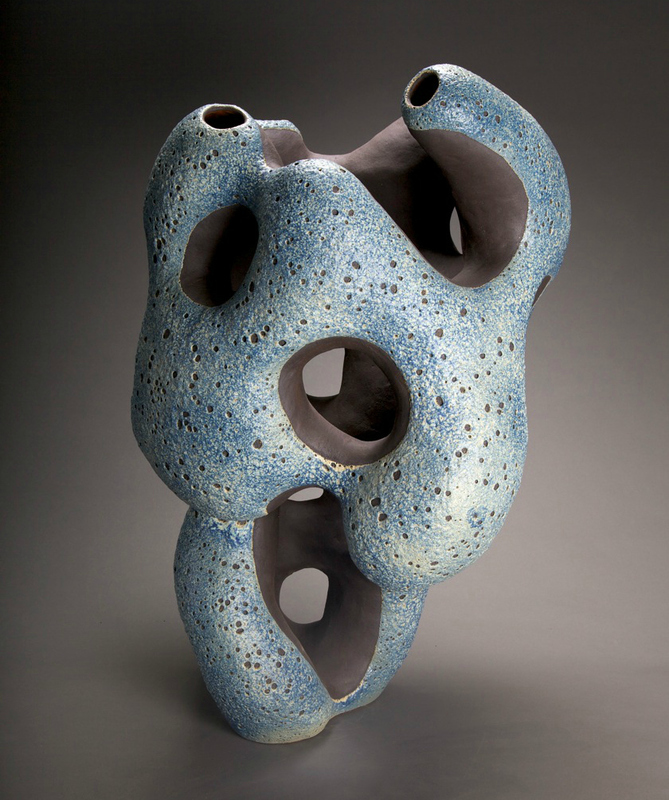 His sculptural forms come alive with his applied volcanic glaze, a glazing technique which took seven years to master. 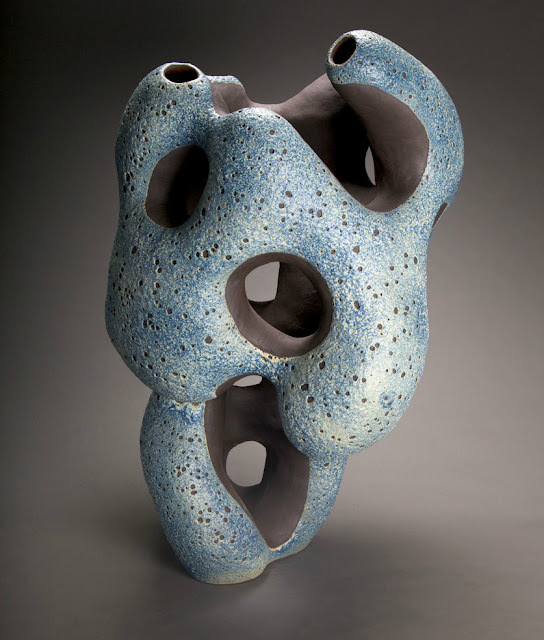 The outcome is an innovative surface that is pocketed with craters. As I began to work on the piece I was not all that excited by it. At about 12 inches of height, I was bored and not seeing the organic movement that I had hoped for. My assistant said, "Just keep building taller." And that is what I did, I just keep adding to it and really the top half is where it got more exciting. Since, I did not think it was anything special, I was freed (in my mind) to experiment more. I started to add forms that stretched the form in different ways. Then the top tube forms and undulations just brought it all together. The piece really came alive. 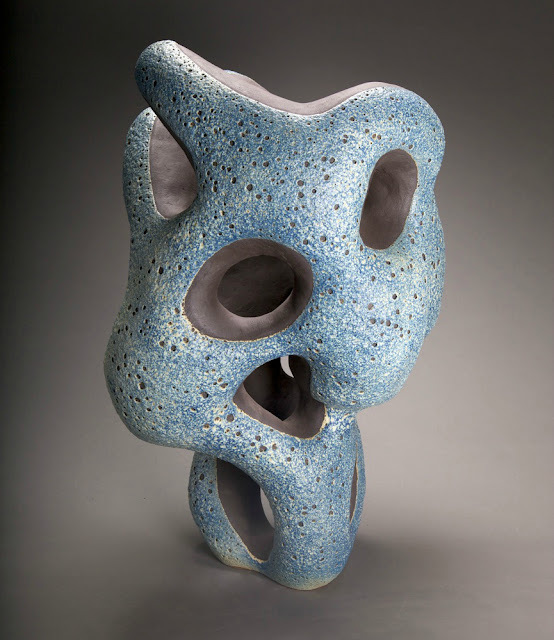 As the viewer rotates around the form, there are totally different shapes and views. Its almost as if there are many different sculptures to look at. Balance seems to be a key principle in my work. So much so that the forms can be too uniform all the way around. I mean that if you look at it from any angle it would be similar to the other angles. So I want to keep balance but add in a more organic free form quality. The metaphor I think of is a succulent that grows in amazing patterns and shapes. Its different from any angle you look at it but its all the same language. Make sense? After I fired it, I thought it was a good piece. It had a quite quality to it. But as we lived with it for a bit of time, it grew on all of us here in studio. That's really the test, does it get more interesting over time? Well, this piece certainly did get better. I think its a really good successful effort. The new owner is thrilled with it. She is a modernist living in a Norm Applebaum (He is a big Modern architect here in San Diego. He is still alive) designed house. Its super cool and I thrilled to have a piece in that house." Thank you Josh! I really enjoyed reading about the process. 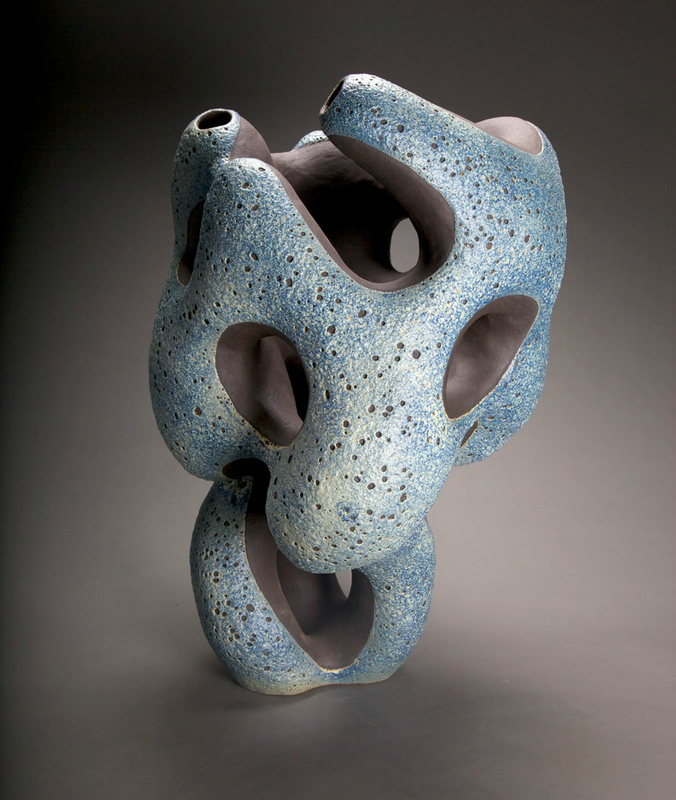 Progression is the perfect name for this piece as it perfectly encompasses time, and space! 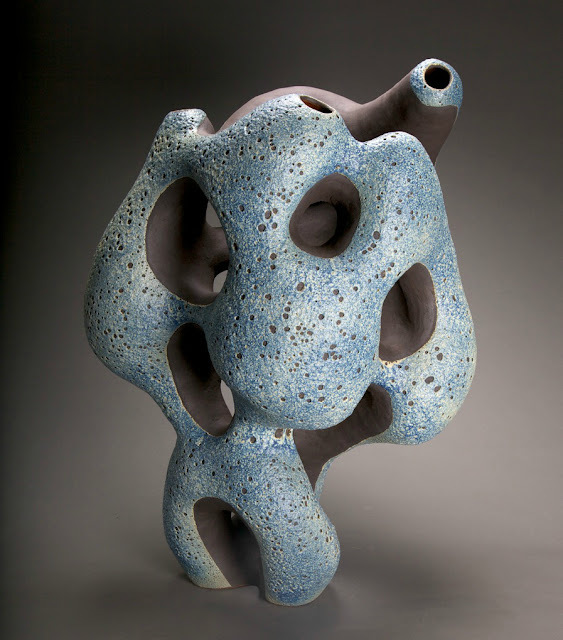 You can purchase some of his volcanic pieces via DESIGN WITHIN REACH.